DCUO is getting League Halls today and Shacknews got to check out how the vast player hubs will pave the way for the next DLC event. DC Universe Online has deployed its latest update today, headlined by the new League Halls feature. League Halls will serve as a meeting area for super teams, but will also act as the central location for the upcoming Halls of Power DLC event. Shacknews recently got to go on a tour of the new League Halls. 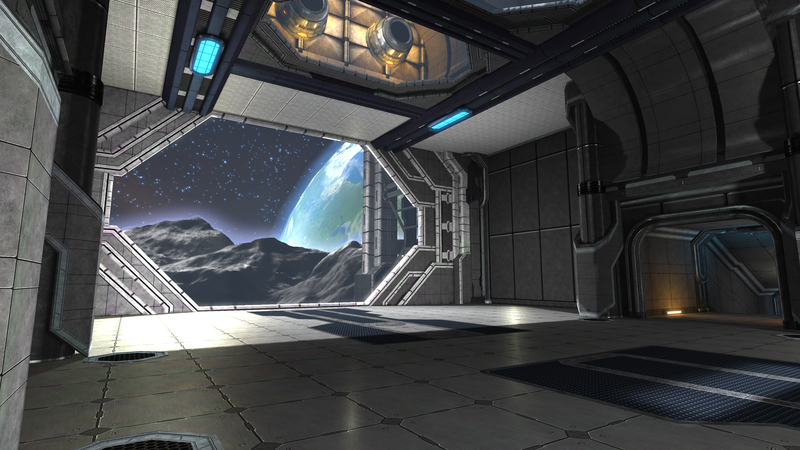 These new massive hub areas are accessed through the Watchtower and located atop the surface of the moon. The Halls are home to league achievements, statues of heroes (with customizable poses), mailboxes, sparring areas, and collectible decoration pieces that are donated to the league by individual members. The League Halls will also act as the central hub location for much of the 'Halls of Power' story-based content. One scenario saw Darkseid's forces invading the League Hall, led by Mantis. The idea was to prevent Darkseid's Parademons from escaping with League Hall loot. This also offered up the chance to check out some of the new mechanics, such as using Old God relics to equip players with buffs. Mantis was eventually defeated, as he and his minions escaped back to Apokalips via Boom Tube, which will open the door for future missions taking place along New Genesis and across the Jack Kirby-created Fourth World. The new update will toss in League-wide currency known as Prestige, which can be earned by completing level 30 or above PvE instances and through PvP. Prestige can be used to help construct the League Hall and purchase its many cosmetic features, like the aforementioned statues. It can also be used to expand the League Bank and earn league-wide bonuses known as Proficiencies. League Hall content will not be entirely closed to users without league affiliations, since they can be invited to visit a friend's hall at any time. This even applies across the good/evil spectrum, since a hero can invite a villain over for a visit, too. League Halls are available to DC Universe Online players on PC, PS4, and PS3 starting today for no extra charge. Appropriately enough, there are also some League improvements coming down today, like UI refinements, an expanded event log, and a more informative roster screen. The full 'Halls of Power' DLC is expected to release later this summer. Aaron Linde posted a new article, DC Universe Online adds League Halls today.